Teachers love using LetterSchool app to help their students learn to write! There are countless schools in the US only where pupils learn words and letters everyday while having fun watching entertaining animations. 1. Research conducted in Northern Ireland in 2017 found that introducing iPads in classrooms has a positive effect on the development of children’s literacy and numeracy skills. Moreover, it shows that the use of these devices enhanced children’s communication skills! Kids who use apps to study see it as a play and are more enthusiastic to learn. Not to mention a positive impact on teacher’s motivation! 2. There is evidence that in children with cognitive delays iPad apps can boost language use and social interaction. 3. For children who lack motor skills, manipulating between a keyboard, mouse, and screen can be very difficult and overwhelming. But the touch screen and all-in-one components of an iPad make it easier for special needs kids to not only use, but master the process. 4. 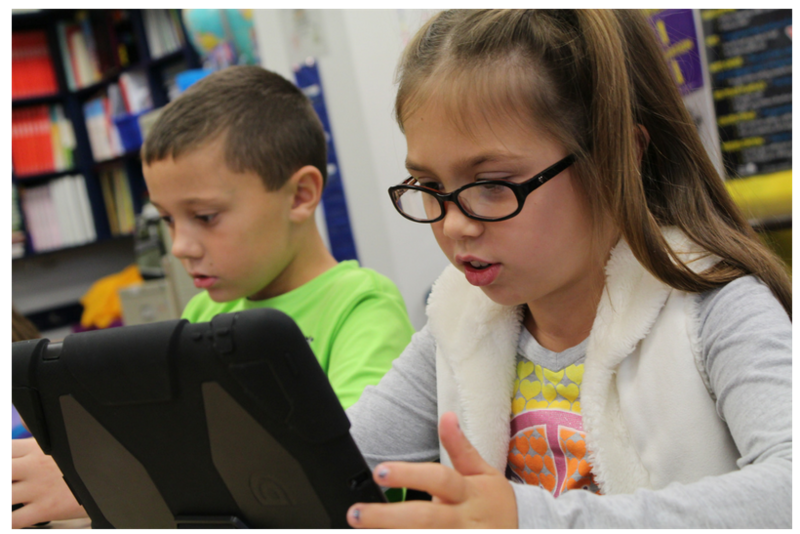 Paperless innovation – School districts have found creative ways to use iPads to save money. From homework and tests to digital textbooks, the iPad offers numerous ways to eliminate paper, saving dollars and the environment. 5. The iPad can be taken outside. For teachers who take their pupils outside during warm days to sit on grass and enjoy sun, this can give a joyful class a new meaning! 6. The iPad builds skills. By using an iPad, children can learn typing, multi-touch navigation, problem solving (with puzzles and games) and many other skills. For comparison: watching TV imparts zero valuable skills. 7. The toddler will learn about technology and creative ways to enhance their learning about the world and their surroundings, just as you learnt how to use new technological gadgets with practice. For teachers deciding on whether or not to adopt the use of iPads for their classrooms, hopefully this has helped in some way. Considering the decision to move forward, make sure you prepare your school wireless network for the employment of these mobile devices. Click here for a good thorough article explaining how to prepare for iPads in the classroom.